House Financial Services Committee Chairwoman Rep. Maxine Waters (D-CA) said that Wells Fargo should oust its president and CEO Timothy Sloan after the bank announced it would give him a pay raise. Waters said Sloan “should be shown the door” after Wells Fargo released a regulatory filing Wednesday showing that Sloan received a nearly $1 million pay raise— a 4.9 percent salary increase from the previous year— and took home an $18.4 million salary in 2018. Sloan reportedly made 284 times more than the median salary for a Wells Fargo employee. 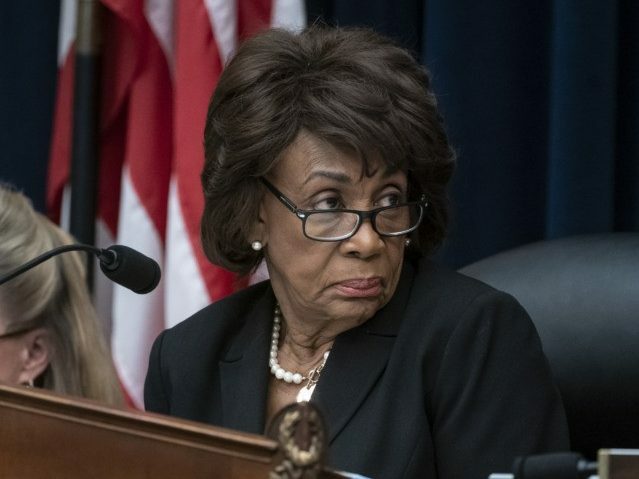 The bank disclosed Sloan’s compensation, which included a $2 million bonus, the day after members of the House Financial Services Committee on both sides of the aisle grilled him for what Waters called “ongoing lawlessness” by Wells Fargo. Waters said the decision for the company to give Sloan a raise considering the circumstances was “outrageous and wholly inappropriate” given how the bank spent billions of dollars in 2018 paying fines to regulators and settling legal disputes. “It was very clear from Mr. Sloan’s testimony that Wells Fargo has failed to clean up its act,” Waters said in a statement. Sloan faced bipartisan questioning at Tuesday’s congressional hearing about the company’s sales scandals over the past few years and about the company’s scheme to outsource and offshore American jobs. A representative for Wells Fargo declined to comment.